From the A1 motorway (North) and Vasco da Gama Bridge, follow 2a. Circular until you reach the Eixo Norte Sul exit (Sete Rios exit). From the Eixo Norte Sul, take the Sete Rios exit again. 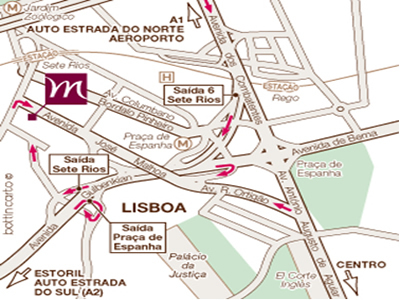 From 25 Abril bridge, continue straigt ahead until you reach the Praca de Espanha exit. 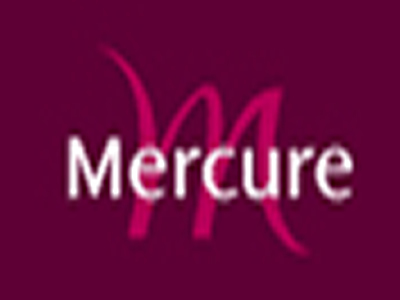 Just before you reach Praca de Espanha, you will see the sign for the Mercure hotel. The taxi cost between airport and conference hotel is about 10 euro, with additional luggage fee of 1.5 euro. Be careful as some taxi drivers try to ask for a lot more than that.